If you’re dealing with a noisy radiator, we know that you’re willing to do nearly anything to make it stop. 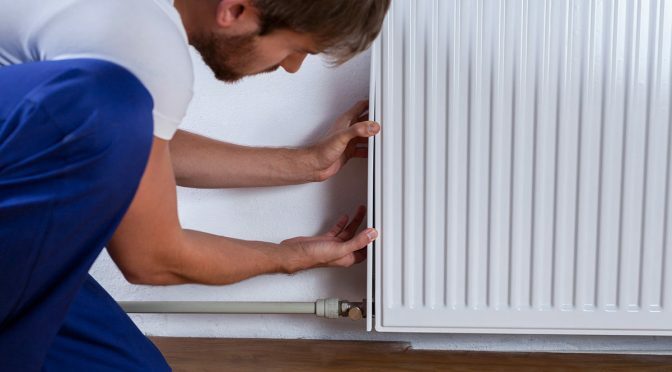 You may hear your central heating radiators creaking, knocking or banging, or even gurgling. This is something that you need to take seriously, as it could be a sign of limescale buildup, a lack of water flow, or even loose pipes and trapped air. We’ll show you what to do to fix the problem before it gets any worse. In most cases, a clanging noise indicates a problem with your central heating system’s pipes. Check to make certain that each pipe is correctly fitted, and that the pipes aren’t coming loose. If everything looks to be in order, then you likely have an issue with the pressure levels within the pipes. In most cases, you’ll need to drain them to fix this problem. Visit this page to learn more about how to drain your central heating system properly. If your radiator seems to be humming, then it’s likely that there are problems within your immersion heater. First of all, take a look at your output levels and ensure that they are set correctly and functioning properly. If that’s not the problem, then it’s likely an issue with your central heating pump. Often, it’s pumping too quickly, which results in humming. You may want to turn down the pressure levels. You may need to balance the output, too. If the problem persists, then it’s likely that you’ve neglected to disconnect your filling loop. You may also need to ensure that your valve isn’t loose. This page will tell you how to check for valves that have been knocked out of place. If you suspect that a limescale buildup is the main problem with your noisy radiator? The process of fixing it will likely be a bit more complicated. This is because you now have a serious buildup of hard water within your boiler’s heat exchange. This happens especially frequently in older boilers. So, if you’ve had yours for quite some time, this is likely the issue. You’ll need to add a descaler to your tank to fix the problem of buildup, but we strongly suggest that you don’t do this on your own. After the descaler has been added, you’ll need to do what you can to prevent further corrosion in the future. This means that you’ll need to invest in a radiator inhibitor. Make sure that you read the manual for your specific system, so that you don’t end up doing further damage to it accidentally. Of course, sometimes, the problems with your noisy radiator are simply too complex for you to be able to handle on your own. When that happens, call in a professional. They can also help you to determine whether or not you’ll need to replace your radiator or boiler. Be sure to keep tabs on our blog for more essential radiator maintenance tips.